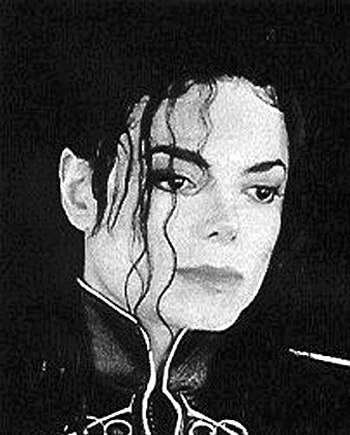 It is the King Of Pop Michael Jackson’s Birthday today. Had he been alive today, he would have turned 51 years old. His bestseller albums include Off The Wall (1979), Thriller (1982), Bad (1987) , Dangerous (1991) and History (1995) for which he got many certifications and awards. He bagged 13 Grammy Awards and twice inducted into the Rock and Roll Hall of Fame. His most loved songs ‘Billie Jean’, ‘Beat It’ and ‘Thriller’ made him the first African American artist to become an international celebrity. Despite of various controversies, M.J’s fans didn’t stop listening to his songs, dancing on his beats and imitating his style with his ‘Moonwalk‘. Though I am not a big fan of M.J.,yet i thought of paying a tribute to the King of Pop on his birthday as he was a man who despite of facing many ups and downs in his life, has cemented a place in our hearts forever.